← HIV/AIDS, YouTube, Justin Bieber, Lady Gaga, Eminem, and My Latest Epiphany! Last week, I announced The Alive with Clive Quests for a Billion to raise at least a billion dollars for charities that support people affected by HIV/AIDS and to generate at least a billion hits on The Alive with Clive TV Channel on YouTube for singer/songwriters I’ve interviewed on Alive with Clive. To see the Blog post in which I made this announcement, click here. To cause these Quests to be fulfilled, today I am announcing the launch of a brand new very special Club. Before I tell you more about the Club, the benefits of being a Member, and how easy it is for you to become a Member, I’m going to share with you the reasons why I am creating this Club. After I announced the Quests, I began to think about ways to cause them to be fulfilled. While, initially, the Quests were based on the idea of each person donating a dollar or more, and causing at least two others they know to do so too, I realized that when people take the time to go to the Web sites of the charities that support people affected by HIV/AIDS, they generally want to contribute more than a dollar and many have a strong inclination to donate $20 or more. So, I began to ask myself these questions: What if people had some kind of incentive to donate at least $10, and cause 10 other people they know to donate at least $10 each within 10 hours too? How quickly would a billion dollars be raised then? From this spreadsheet, I determined that if everyone who donates $10 causes 10 other people to donate $10 each too, a billion dollars will be raised within 10 days! I then went to Google because I wanted to get some sense of how far, in support of people affected by HIV/AIDS, $10 would go. I then went to the Web site for Young Heroes Foundation, another of the charities on the list for the Quests, and learned that $10 would provide food for an orphan for two weeks, $20 would provide food for an orphan for a month, and $30 would provide food and clothing for an orphan for a month. Simply put, malaria kills. Nets can save lives. Fact: Malaria is preventable, but causes more than 200 million illnesses each year and kills nearly 1 million of those who become infected. Fact: Ninety percent of deaths caused by malaria occur in Africa, where the disease is a leading killer of children. Fact: Every 45 seconds a child in Africa dies from malaria. So, as engaged global citizens, what can we do to help? In the poorest parts of the world, window screens are lacking, anti-malarial drugs are expensive, and so far an effective malaria vaccine does not exist. Insecticide-treated bed nets in these areas are arguably the most cost-effective way to prevent malaria transmission. Bed nets use a simple but effective prevention approach: eliminate contact with mosquitoes, eliminate malaria. The entire process of purchasing and distributing insecticide-treated bed nets to the most vulnerable people, as well as providing education and follow-up surveying on their use, is accomplished for just $10 per bed net (emphasis added). Although $10 for a bed net may not sound like much, the cost makes them out of reach for most people at risk of malaria in Africa, where many people survive on less than $1 per day. Nets are a simple, life-saving solution, but we need your help to provide them to those in need. $10 will buy a “rocket stove” for an African family. Your full donation will go to Aid Africa, and you will receive a receipt for your charitable donation. These “rocket stoves” are just six bricks, some wire and mud. But these simple devices are life-changing to an African family. The stove reduces household emissions by 75% (compared to a traditional cooking fire). No more blinding smoke and sore red eyes. No more house fires, choking, breathing problems and lung disease. The stove uses only half as much wood, so fewer hours are spent collecting wood and more time for is available for tending to family, farming, and business. In addition, the Aid Africa Rocket Stove project has helped spawn a cottage industry providing jobs, training opportunities and leadership-building skills to local Acholi people. Just $10 provides a stove to an impoverished family and puts them on the road to health and well-being. Clothing for a child who is an orphan because of HIV/AIDS. With thoughts of $10, 10 people, 10 hours and 10 days swirling in my head, I remembered that a few years ago I read a book by Andrew S. Grove, former CEO of Intel, called Only The Paranoid Survive, which was published in 1996, just when the Internet was beginning dramatically to alter life for all of us here on planet Earth. In that book he talks about shifts to the magnitude of 10X. For example, if normal change represents a wave in the ocean, a 10X change would be something so unpredictable and out of the ordinary as to be truly astonishing, like a tsunami. 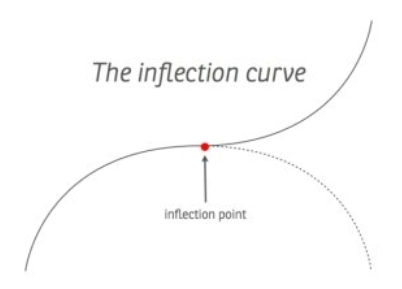 He also mentioned that a 10X change occurs at a Strategic Inflection Point. Think of an arc. At the top of an arc, the line stops going up and begins to go down. 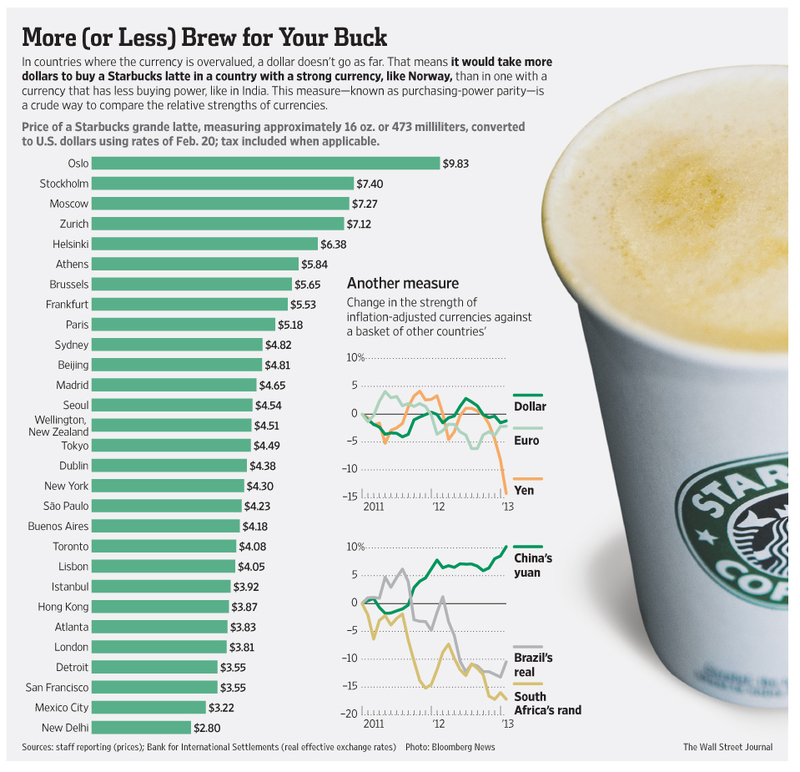 That’s the Strategic Inflection Point. If nothing intervenes, what is predictable is that the line of the arc will gradually go down. All ideas can be represented by arcs. They are born out of inspiration and, if not nurtured, they die. On the other hand, if at the Strategic Inflection Point, they are given new life, the arc begins to go up instead of down. See Page 32 of his book, on which he shows the Inflection Curve. I then began to wonder how I could combine these thoughts about $10, 10 people, 10 hours, 10 days and 10X shifts into a movement that would inspire people to join me on my Quests to raise at least a billion dollars for people affected by HIV/AIDS and generate at least a billion hits on The Alive with Clive TV Channel on YouTube for the singer/songwriters I’ve interviewed on Alive with Clive. As a result, I decided to form a Club and create a dedicated Web page for the Club to acknowledge, and give recognition and exposure to, everyone who joins the Club by donating at least $10, and causing 10 others to donate at least $10, hopefully within 10 hours, too. You can see this Web page when you click here. Soon after you join the Club, your picture and an embedded link to your Web site, or the Web site for a cause you support, will be placed on the Web page. At first I was going to call the Club The Alive with Clive 10 X 3 Club. Then I thought about calling it The Alive with Clive 10 X 10 X 10 Club. After further consideration, I decided to call it The Alive with Clive YES to 10X Club! 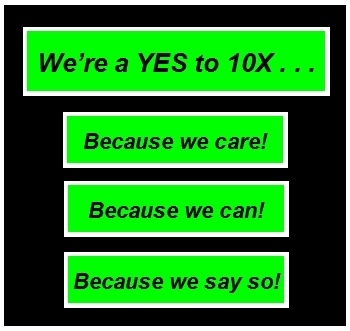 To see the Web page for The Alive with Clive YES to10X Club, click here. Ladies and gentlemen, let’s take this opportunity to cause a 10X shift in the generation of funds for people affected by HIV/AIDS so that we can build on the momentum that has already been created to have HIV/AIDS ultimately be history — as quickly as possible! Please do what is necessary to join The Alive with Clive YES to 10X Club NOW so that I can put your picture and an embedded link to your Web site or the Web site of a cause you support on the page for the Club as soon as possible. I’m looking forward to seeing you there. Click here to go to the Web page for The Alive with Clive Quests for a Billion. Make a donation of at least $10 to one or more of the charities listed there. Click here to watch one or more of the video clips on The Alive with Clive TV Channel on YouTube. Fill in the form on this page after you’ve made your donations and watched the clip or clips. Invite all the members of your family and friends to donate at least $10 and watch at least one of the video clips too. Make sure that when they fill out the form, in the field for “You learned about these Quests from:” they type your name. Have them email you their acknowledgment of receipt from the charities to confirm their donations. Copy and paste all ten acknowledgments of receipt from the charities into one email and email it to me. After I receive (1) notification through the form that ten people made their donations and watched at least one video clip because of you, and (2) the email from you with all ten acknowledgments, I will add your picture with an embedded link to your Web site to the Web page for The Alive with Clive YES to 10X Club. To see a graphic representation of these steps, click here. As mentioned, I’m looking forward to seeing you on the Web page for The Alive with Clive YES to 10X Club as soon as possible. These Quests are destined to gain momentum and attract the attention of millions of people all over the world in the days ahead. If your picture with an embedded link to your Web site, or a Web site of a cause you support, is on the Web page for The Alive with Clive YES to 10X Club, it is likely to be seen by millions, so you can use this opportunity to gain a considerable degree of additional exposure for your business, career or cause, if that’s what you’d like to do. In addition, it’s best to take the steps necessary to join The Alive with Clive 10X Club as soon as possible, so your picture can be as close as possible to the top of the Web page and thus be the first or one of the first to be noticed. As an additional reward for those who act immediately, the first 20 to fulfill on the requirements for membership in this Club will enjoy the distinction of being referred to as Ambassadors of The Alive with Clive YES to 10X Club! These Quests are not about one or a few wealthy donors donating millions, although that would be most welcome too. They’re a grassroots effort about you and me getting together to collaborate as a Global Community to bring health and healing to those most in need — because we care, because we can, and because we say so! — so that greater prosperity is achieved for all of us. And I’ll be forming a Facebook Group for Members of The Alive with Clive YES to 10X Club soon too! Remember, too, that everyone who makes a donation, including you, will be able to download the Songs in The FIRST Alive with Clive Top 20 and gain instantaneous access to my book of over 375 of the most inspiring and insightful quotes of all time — Quotes To Multiply Your Magnificence! And because the benefits of being a Member of The Alive with Clive YES to 10X Club will so far outweigh the minimal investment of time, effort and money necessary to become a Member, to expedite your admission into the Club you might similarly want to provide an additional bonus or gift to your family and friends to encourage them to make donations of at least $10 to one or more of the charities listed on this page too. 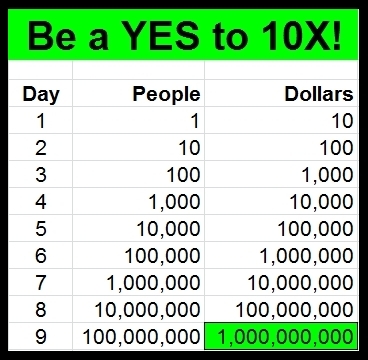 So please click here now and take the steps to be included in The Alive with Clive YES to 10X Club as soon as possible. This entry was posted in Alive with Clive Quests for a Billion and tagged $10 a month, $10 donation, $20 donation, $30 donation, 10X change, 10X shift, 1996, Africa, African rocket stove, Aid Africa, Aid Africa Rocket Stove project, Aid for Africa, Aid to Africa, AIDS treatment, Alive with Clive, Alive with Clive Billion Quests, Alive with Clive Quests, Alive with Clive Quests for a Billion, Alive with Clive TV Channel on YouTube, Ambassadors of The Alvie with Clive YES to 10X Club, Andrew Grove, Andy Grove, anti-retroviral drugs, antibiotics, arc, because we can, because we care, because we say so, Brother Bru Bru's African Hot Sauces, CEO of Intel, clothing for orphans, collaborate, embedded link, Facebook Group, food for orphans, Global Community, goats, Google, grassroots effort, healing, health, HIV/AIDS, HIV/AIDS charities, how far $10 goes, ideas, inflection curve, Inspiration, Internet beginning, latte, magnitude 10X, malaria, medical supplies, momentum, new life, one-month supply, one-pill a day, Only the Paranoid Survive, picture, Quotes To Multiply Your Magnificence, rocket stove, school books for Africa, singer/songwriters, singer/songwriters on Alive with Clive, six bricks, Songs, South Africa, Starbucks, steps to join, strategic inflection point, The Alive with Clive YES to 10X Club, The FIRST Alive with Clive Top 20, treatment for malaria, tsunami, Web page for The Alive with Clive YES to 10X Club, YES to 10X, Young Heroes Foundation. Bookmark the permalink.